I’m a planner. I like lists. I like to know what’s going to happen before it does. I think most of this stems from having an anxiety disorder and needing to have a sense of control. But whatever the reason, I like to be organized. Now, I will be the first to admit that it is a huge challenge. While I like to be organized and I’m good at doing it, I’m not good at sticking to the plan. I’m also married to a wonderful man who usually has no idea how to grasp my organizational plan! So, we keep trying. One of the greatest strengths of my marriage is the communication between my husband and myself. We talk. And we talk about everything. Our life might be crazy, but we keep trying and we stick together. That’s all we can do! 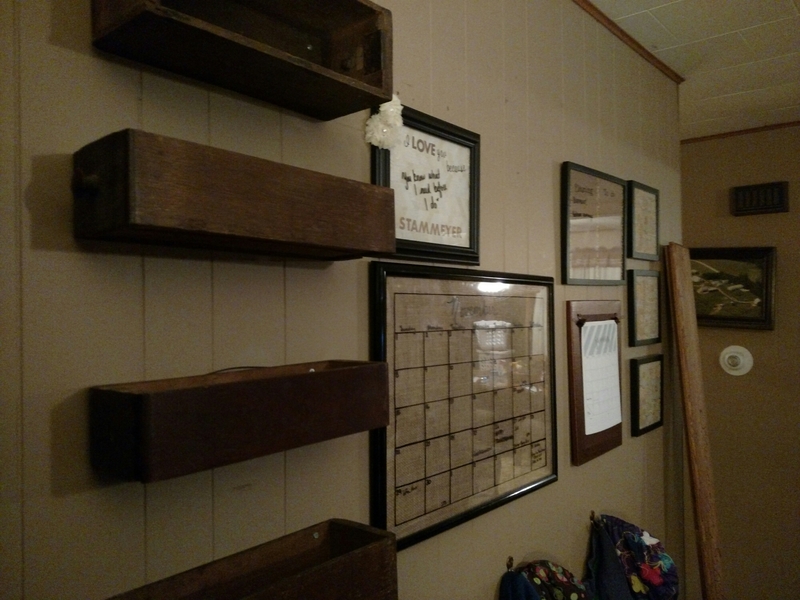 I started by making a list of what I wanted on the wall. 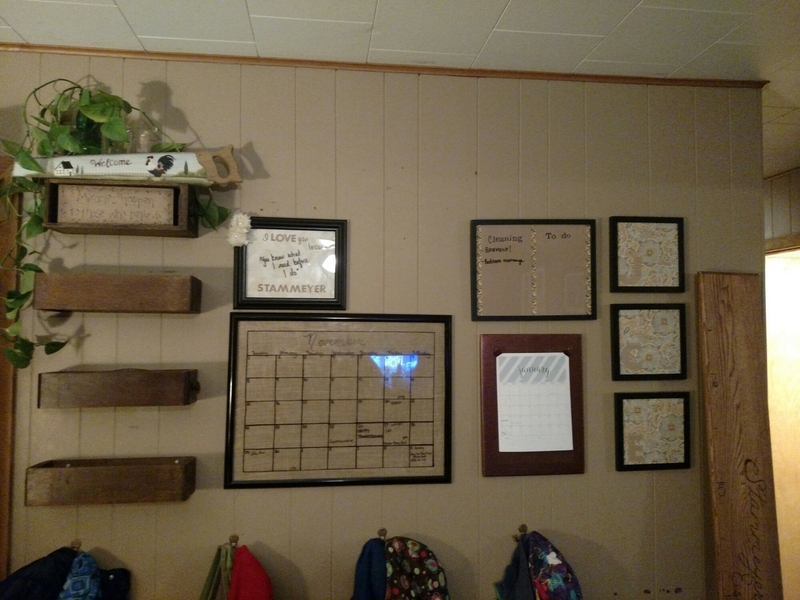 These included a large calendar for the current month, a yearly calendar, space for a chore chart/notes for each kid, to do & cleaning list, places for mail, receipts, and things that need to be filled, and a place to remind my family how wonderful they are. 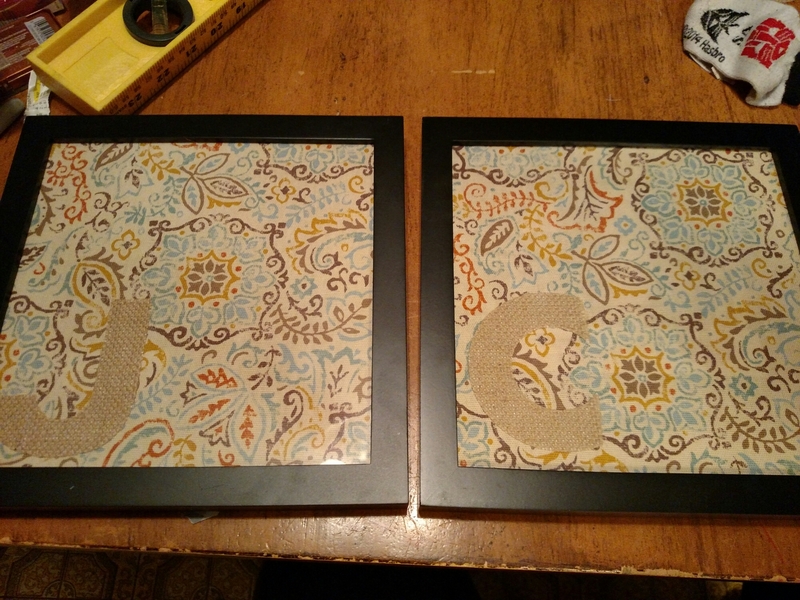 I then went to Walmart and picked out frames and fabric. 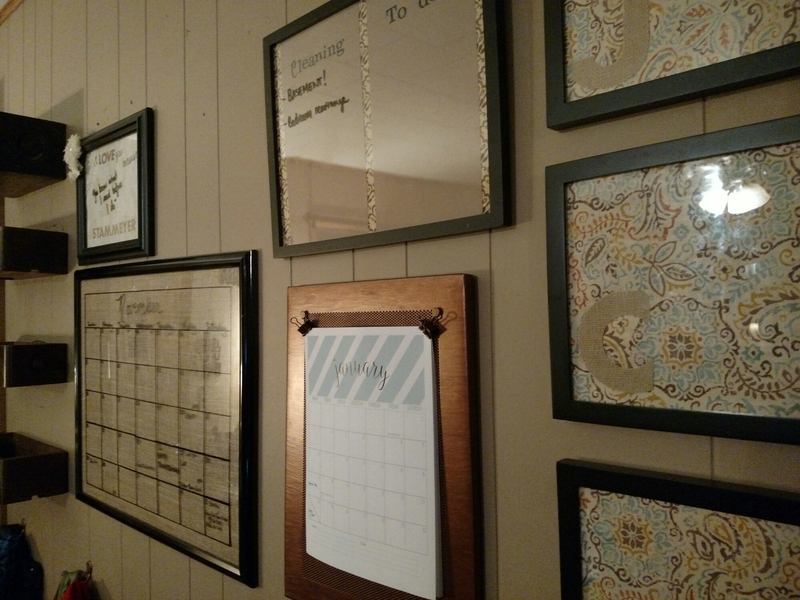 I started with the large calendar. 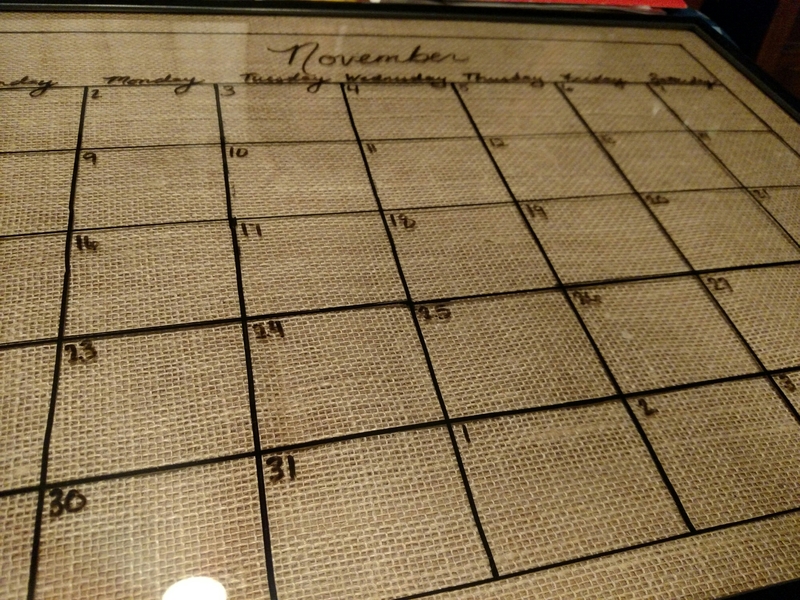 I measured out how I wanted the calendar grid to look and drew it out in dry erase mark on the front of the frame. 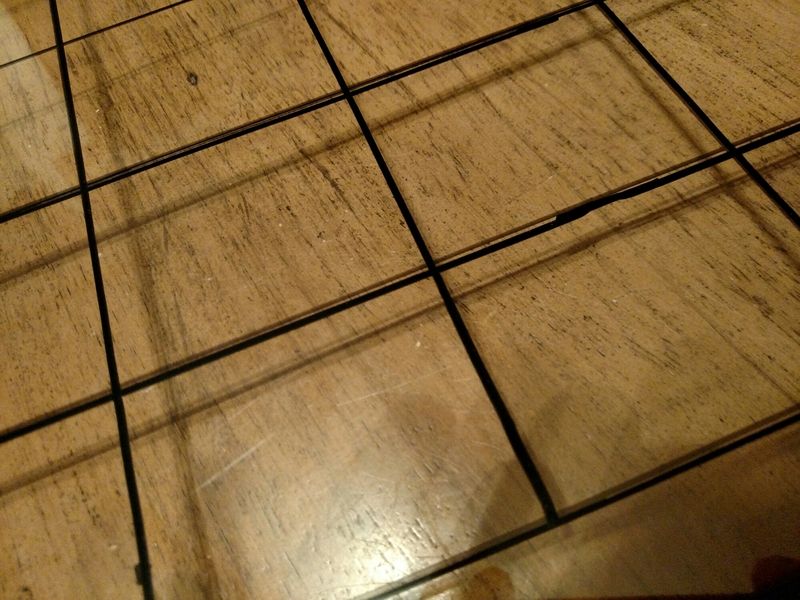 Then I turned the glass over (actually it’s plastic, but you get it) and redrew the grid on the inside of the glass with a paint marker. 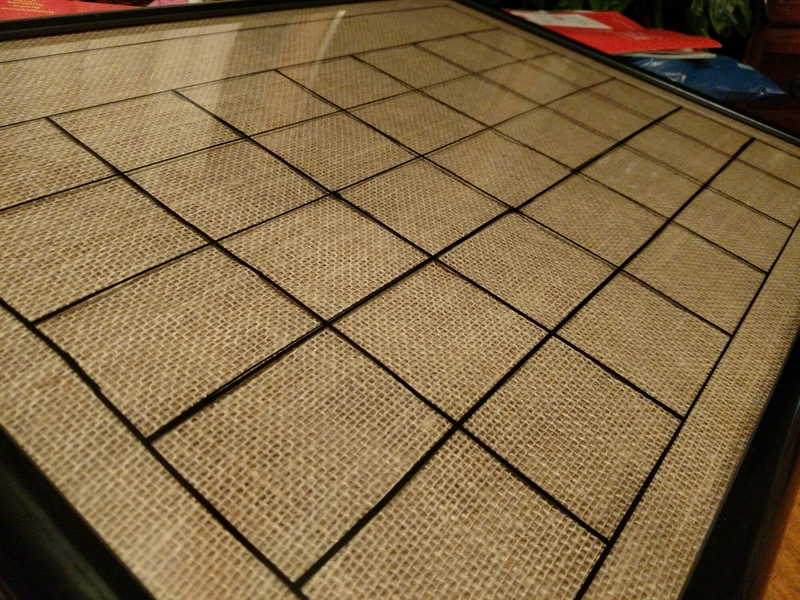 This way, when the frame is together, I can write on a smooth surface with dry erase market and not have to worry about messing up the grid. It worked out pretty slick! I used fabric and burlap letters to make a little board for each of my kids. 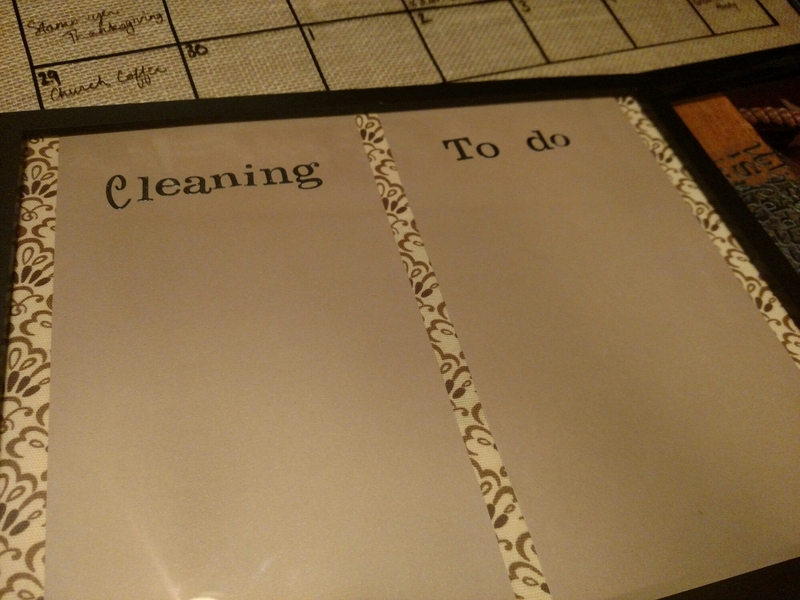 Then fabric and plain card stock with stickers to make a cleaning and to do list. All of these were quite simple to make. The hardest part was picking it fabric!! I needed something simple so the writing could be seen over it, but still wanted it to be cute! And Ta-Da!! There we have it! I’m loving it! It feels good to have a place to give our lives some order. I’m still working out a few things, such as how to best use the kids boards. And I have a space that needs to be filled. I was thinking of putting something there to hold markers, but also might make a space for our budget. And I might add something above it all for holiday decorations… But in time! For now, this is great and I’m quite happy. Big shout out to my handy husband for all his help! !